Insurance is a helpful policy for a business or any property when it’s facing a bigger problem and unable to solve itself caused by event(s). Insurance protects yourself when you have got a car accident, house or industry burn on fire and many more. You also can buy an insurance to secure your life by getting paid when you are so much ill and unable to work properly. On the other way if you buy a life insurance you family would pay after your death. Insurance company does such things because they will get the premium continuously to support you when you got a house burn, car accident, unable to work or died. Insurance company provide financial support, when a business goes into a huge amount of financial loss, damage, burn on fire or by any event (s) as the contract signed by both of party. Insurance gives you peace of mind and you know that if anything happens to you, your family or your business that you will be financially secure. Textile industry work with a huge amount of money and workers so that they could experience an accident anytime during work by electricity, fire, hazard chemical, gas and many type machinery etc. if any industry suddenly get an accident and loss too much money! Who will help them to build a new industry or fix the problem created by the accident(s)? 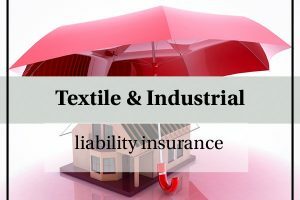 Every textile industry needs to buy insurance and pay the premium to support them when they are in damage or loss situation. There are too many type of insurance; from life insurance to pet insurance, here is some of insurance name are given below. Names are used mostly. First you chose for what? You want to purchase insurance and from what, event(s) you want to protect your property. After complete the task you many ask for insurance assistance to any insurance company you chose by their reputations. The consultants calculate your property value and insure the risk of an accident. Consultants determine the money you have to pay in a unit time (premium) to get support if you deserve to get paid by Insurer Company. All document and contract between insured and insurer include in this policy paper. Policy provides the information of the property you want to protect from some event(s) should be included. Estimate value of the property and amount of money should give by the policy provider after get any accident. For example; car insurance might say that it would be cover if you had an unexpected accident during driving. Insurance company might pay the bill to reconditioning the car to drive on read as it was or pay the money (as in the policy) if it’s completely unusable but not if you break a traffic signal, driving after taking alcohol, driving without driving license, and many more (as in the policy). Premium is the amounts of money you pay each month year (sometimes at once) ensure to continue your insurance. The amount you pay depends on the risk and on the value of the events you’re insuring. Insurance company collects the money you given by the name of premium .if you don’t pay the premium than how they support you? That’s why you must need to pay the premium. If something happens that’s covered by the policy, you can claim on your insurance. You tell the insurance company what happened, they check that it’s covered under your policy, and if the claim meets with what you are protected against then they pay you as agreed. There are a few more things you should know about getting insurance. Sometimes some of policy could be danger in your critical time and insurance company could be refused to pay so please read all scream & document carefully before purchase insurance. i need to know about car insurance. I need to know more about car insurance …can you please write an article about Car insurance. oh sorry brother i don’t know much about car insurance. I’ll try later ..